Hi all! 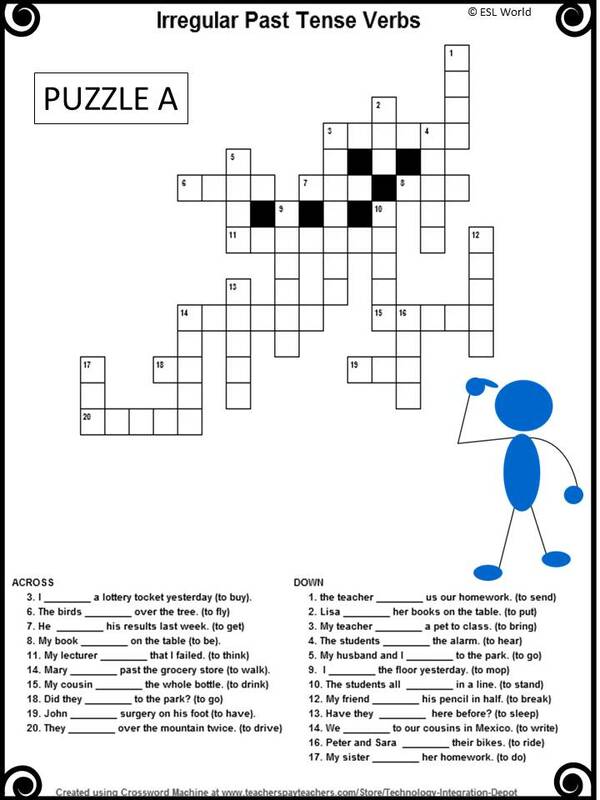 How much fun would it be to review past tense irregular verbs with a puzzle? I made this for my ESL students. I love puzzles and my students do too! 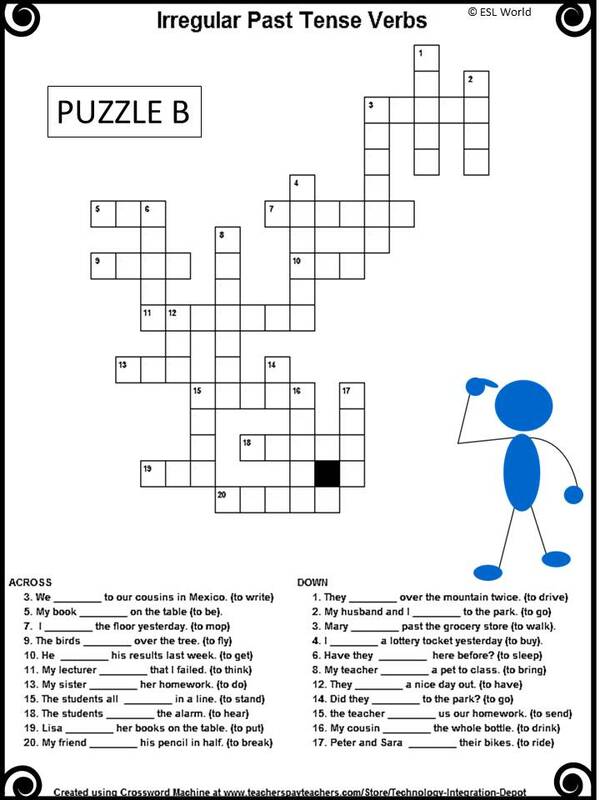 There are two versions included, puzzle A and puzzle B. This means that you could hand out one puzzle to each group and have them fill in the answers! An answer key is also provided. CLICK HERE to download this file directly.